Your precious memories deserve a frame that is equally special. 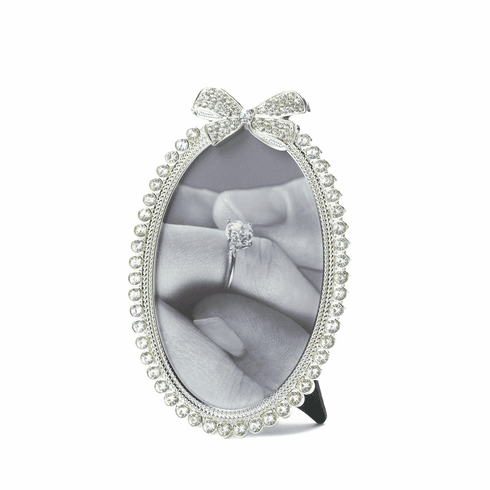 This beautiful 4 x 6 oval photo frame features a row of dazzling rhinestones topped with a glittering rhinestone bow and has an easel back for tabletop display. Item weight: .5 lb. 4 3/4” x 2 3/8" x 6 7/8" high. Pewter and glass. UPC: 849179021900.